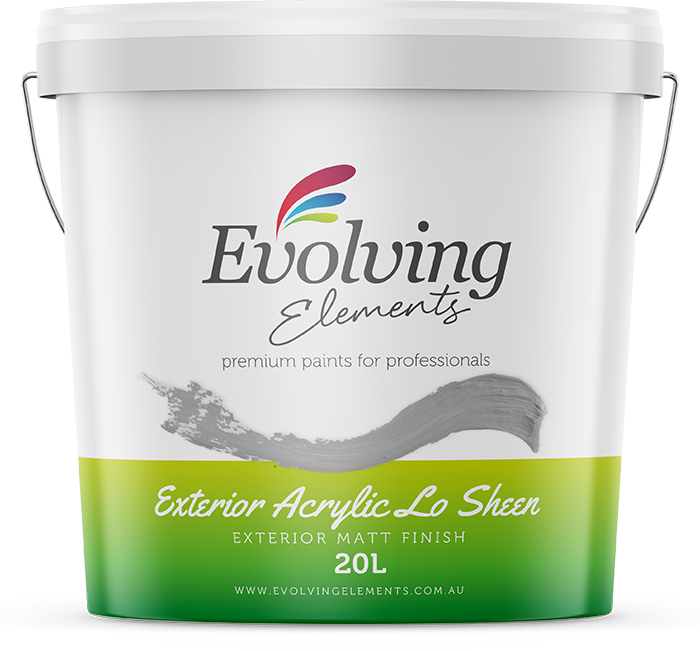 Evolving Elements Exterior Acrylic Lo Sheen is a self‐priming, water based acrylic paint which is easy to apply and is suitable for exterior features such as pergolas, fences, decking and walls. It can be used on a wide range of surfaces including timber, ﬁbro, bricks, masonry, Zincalume® and galvanised iron. It is ideally suited for exterior surfaces, especially bricks and masonry surfaces.